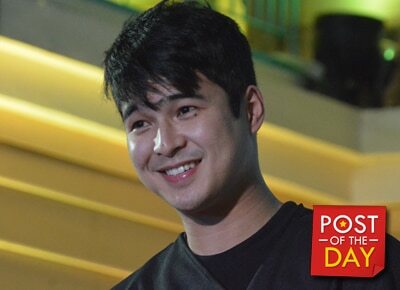 Jerome Ponce has had enough of the bashers’ hurtful words on social media and he addressed them on his Instagram account. He posted a blurred collage of him with a girl and explained that he doesn’t owe anyone an explanation and that they don’t know his story. “Para sa mga walang alam na feeling may alam po... Eto oh some time before pa yung commercial. I hope natutuwa pa kayo sa mga sinasabe niyo… Dame niyo po kasing alam… Hilig niyo manghusga akala niyo kayo walang problema… Di ko na kelangan ipakita at ikwento lahat sa inyo. “Una yung iba iniisip malandi siya, manggagamit siya, ngayon may masabe naman kayo ako naman manggagamit... No need seryoso... And i don't need one of your comments. I don't live to please each one of you. Kayo pumasok sa industriya kung gusto niyo.. Alam niyo naman pala lahat eh,” he said in the caption. Jerome started to get bashed when he entered the Pinoy Big Brother house as a guest and wanted to make amends with his ex-girlfriend and current celebrity housemate Elisse Joson. The actress, who is popularly known for her ‘hugot’ commercial, gave clues to the 3 “Js” who were a part of her life. Netizens were quick to say that the three involved with Elisse were actors James Reid, Jon Lucas and Jerome.